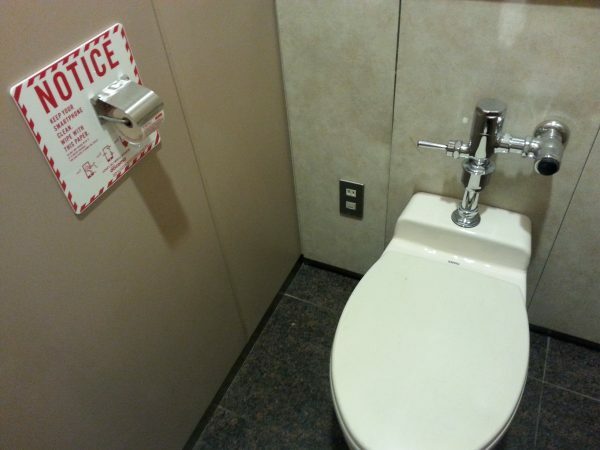 When I went to toilet in Narita Airport, I found a small toilet paper holder set at each stall. It was cute and unique. 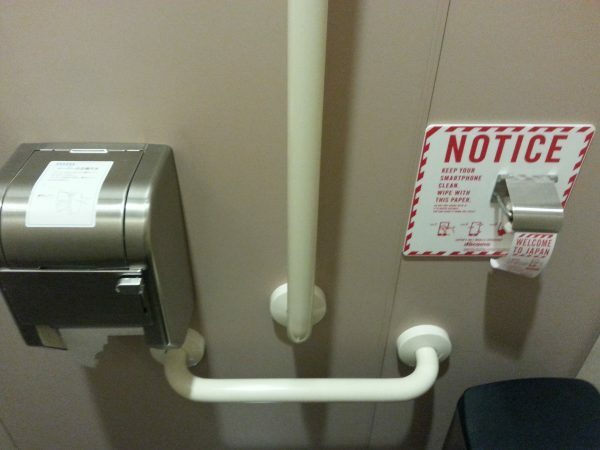 Actually it was not a toilet paper holder, it was a smartphone wiper holder. 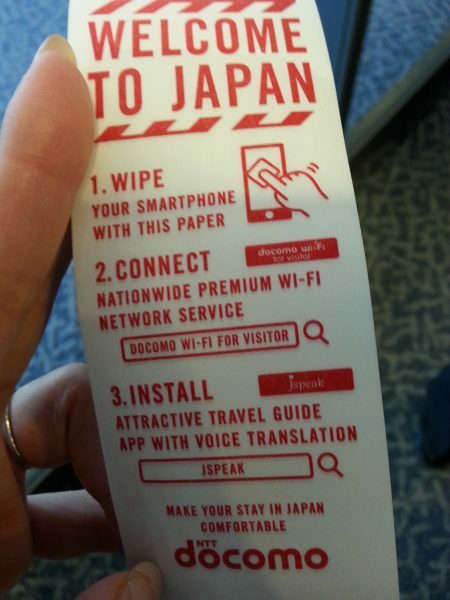 The paper had cutting lines and writings that read “WELCOME TO JAPAN”, 1.WIPE 2.CONNECT 3.INSTALL. This toilet paper holder was actually an advertisement for a phone company’s wifi service for visitors. Isn’t it a cute and creative advertisement? I took some pictures at a stall. 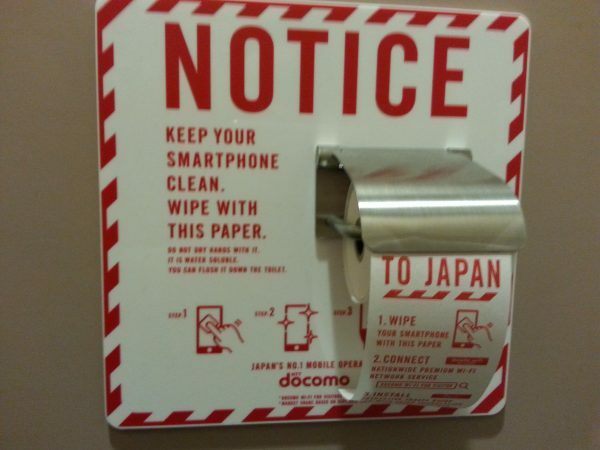 It reads “MAKE YOUR STAY IN JAPAN COMFORTABLE” BY docomo at the end of the paper. A foreign young lady was wiping her smartphone with that paper. I heard these toilet paper lookalike smartphone screen cleaning paper are available for a limited time in Narita Airport.